In an ideal world, we would not need an alarm at all. Instead, we would wake up when our body clock decided, refreshed after the right amount of sleep. Yet, for the vast majority of us, given we can’t afford to miss our Monday to Friday wake up time for work or the school run, we need an alarm. These days, this is conveniently provided by our mobile phone placed next to our bed, with an in-built programmable snooze feature. Invented by Lew Wallace, author of Ben Hur, the snooze feature was first incorporated in an alarm clock by the General Electric Company in 1956. Marketed as the ‘humane way to wake up’, this little button offered us the ‘luxury’ of an extra 10, 20 minutes sleep or so, snuggling in our bed. Snooze you lose – so why do you we lose out when you snooze? Our body clock likes regularity and consistency. If we avoid the snooze button we have a consistent stimulus (alarm goes off) and response (we get up). We then become ‘conditioned’ to this routine albeit via an unnatural cue. The snooze button confuses this cue. After the first (false) alarm, your brain settles back down to sleep. The alarm signal is initially attached to a ‘snoozing’ state. So, the second time the alarm goes off the brain is not sure whether you are going to wake up or not. We are training our minds that the alarm might mean wake up or snooze, especially if we hit the snooze button more than once. At the same time, we are creating fragmented sleep, which is less restorative than a consistent night’s sleep. Do you feel groggy in the morning? We sleep in cycles of 90 minutes going from light sleep to deep sleep, including Movement (REM – sleep when we dream) and then back to light sleep. If we wake up at the end of one of these cycles, we generally wake up refreshed. If we wake up in the middle of deep sleep, we tend to feel groggy – ‘sleep inertia’. This grogginess can often make the snooze button seem like a more attractive option. Yet, after hitting the alarm, we go back to light sleep. We then start to re-engage the hormones to take you into deep sleep. Thus, if after using the snooze button you always wake up groggy you are creating your own sleep inertia. As well as generating a confused signal to the brain (wake or snooze), the snooze button throws off our body clock (circadian rhythm). Our body clock naturally needs the same bedtime every night and a consistent wake time every morning. The first part of good hygiene in the morning is to stop using the snooze button and get out of bed as soon as the alarm goes off. You then have a consistent base from which to build your sleep schedule. If you think this is going to achievable, then put your alarm or phone on the opposite side of your bedroom. This way you will have to get out of bed to turn it off. Now you can work out what time you need to get to sleep to set your alarm at the end of a full sleep cycle. The ‘norm’ or ideal amount is 7.5 hours of sleep rather than 8 hours, as this equates to 5 full cycles of sleep. Similarly, 9 hours of sleep (6 cycles) is a natural break. If you are up late and know you’re going to get less sleep than normal, its better to aim for 6 hours of sleep (4 cycles) rather than 7 hours. This should help make you feel alert in the morning. You can then make up the sleep debt the following night or with power naps during the day. wake up feeling great!Use this sleep cycle formula to work out the best time to get to sleep based on the time you need to get up. If you need to get up for work at 6.30am, count 5 sleep cycles (7.5 hours) back, so you would need to be asleep by 11.00pm. Try going to bed just before this in order to give you time to nod off. Then, if you wake up just before your alarm, you have potentially found the right time for you to get to sleep. Keep tweaking your bedtime until you can wake up naturally without and alarm. When you get to this bedtime, you are ensuring that you allow your body to naturally get enough sleep. Want to know how to have a great night’s sleep? It all starts first thing in the morning! Read my Ten Morning Tips for Sleep Success here. 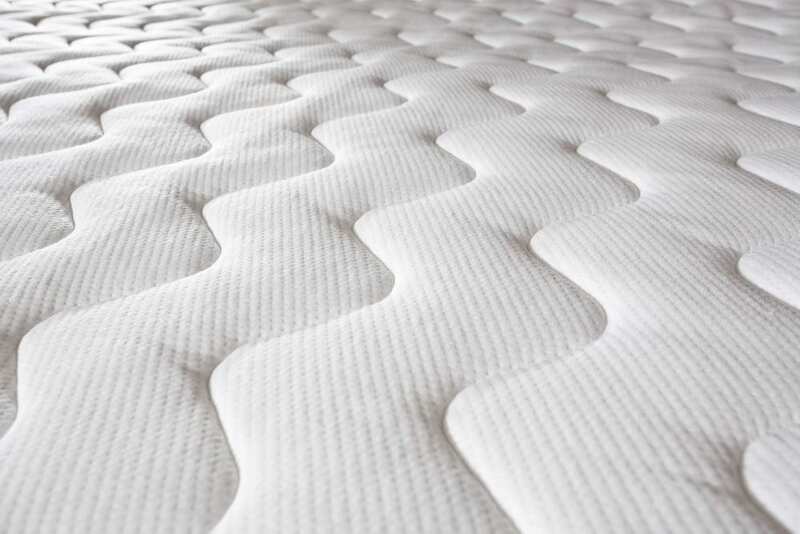 What are Mattresses made of how do I know what to buy?